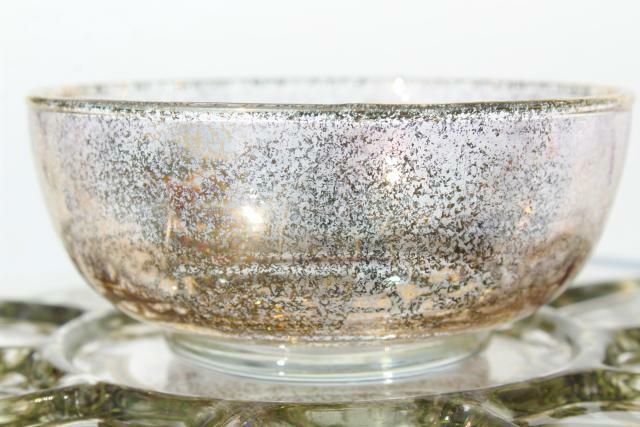 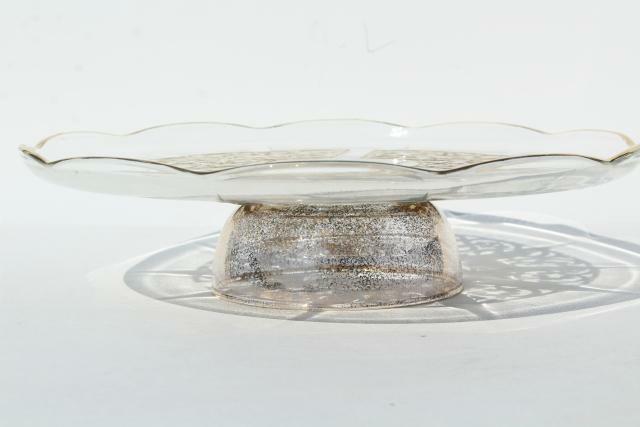 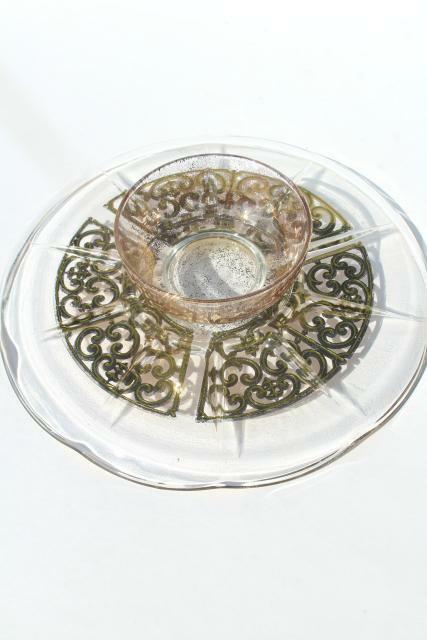 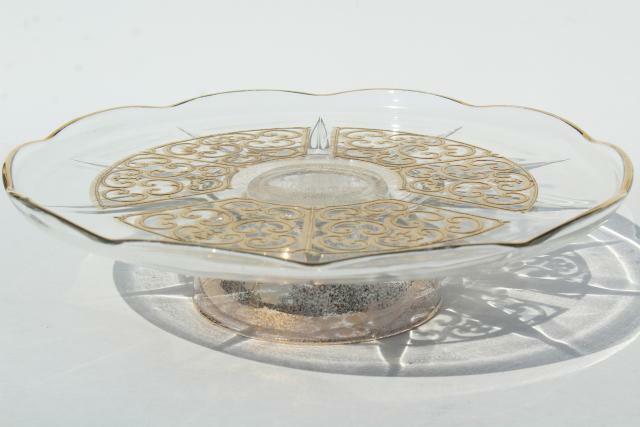 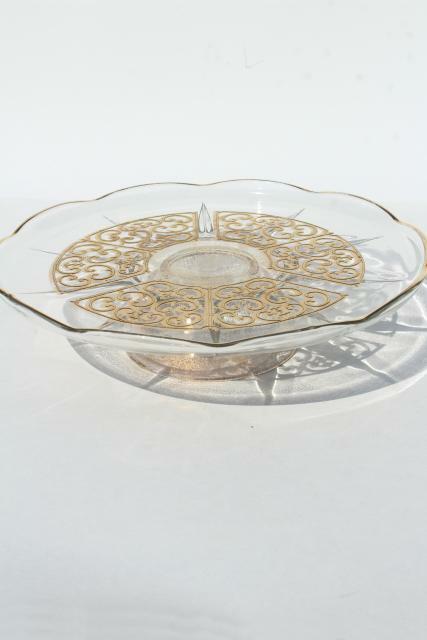 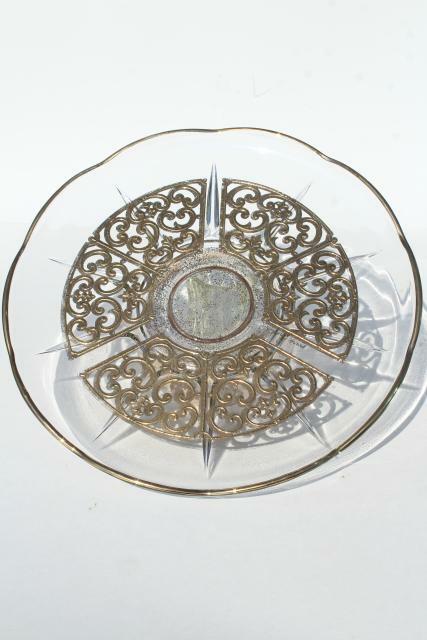 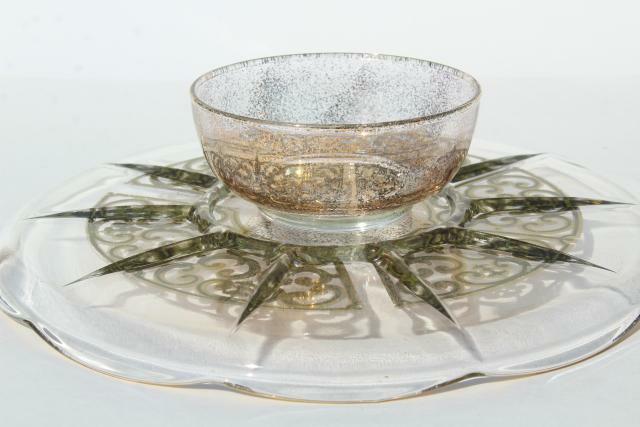 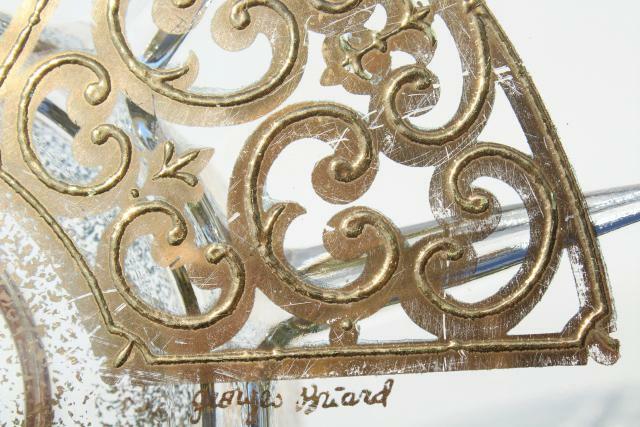 Briard Spanish gold pattern glass cake stand, 60s vintage, very mod! 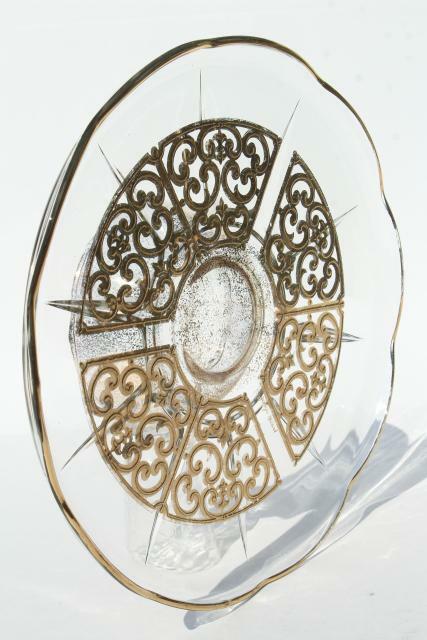 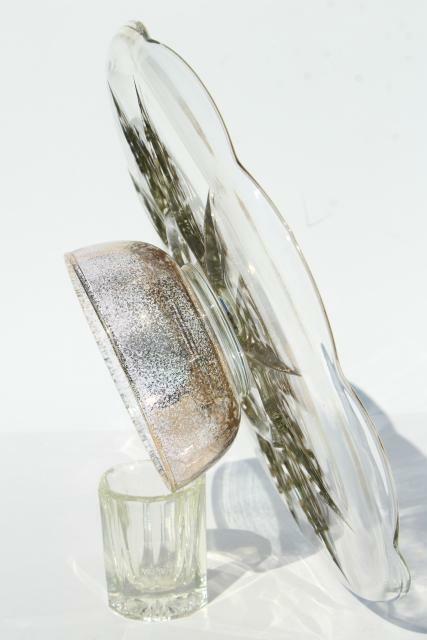 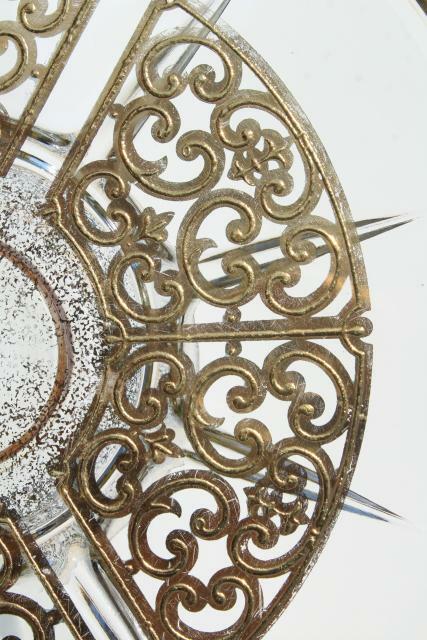 This measures a little over 11" in diameter across the top of the plate. 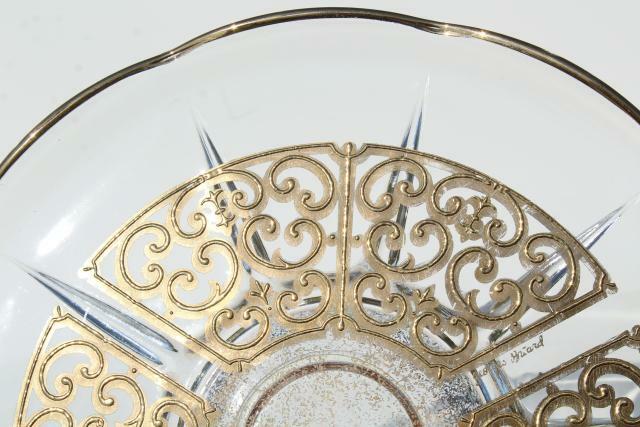 It's in very nice condition showing little use, with very little wear to the gold.